If you are ill-mannered, have a poor sense of social etiquette or just plain irresponsible, then beware of the cheerfully psychotic housewife Beverly Sutphin from John Waters’ wickedly hilarious cult classic, SERIAL MOM. She will stop at nothing to rid of anyone failing to live up to her moral code! Starring Kathleen Turner (Romancing the Stone) as Beverly Sutphin, Sam Waterston (Grace and Frankie) and Ricki Lake (Hairspray), writer-director and pop culture icon John Waters puts a twist on the everyday mediocrity of suburban life in this outrageous dark comedy brimming with his unique brand of perverse humor and high camp. 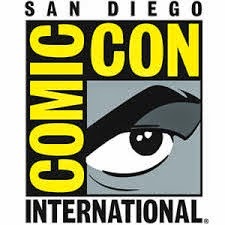 The film also stars Mink Stole (Pink Flamingos), Patricia Hearst (A Dirty Shame), Matthew Lillard (Scream), Mary Jo Catlett (Diff’rent Strokes), Traci Lords (Cry-Baby), with special appearance by Suzanne Somers (Three’s Company). It’s a killer comedy that will take fans and audience over the edge with laughter! A Mother's Day celebration to die for! “My own mom thought “Serial Mom” was my best picture and maybe she was right!” said John Waters. On May 9, 2016, Scream Factory is proud to present SERIAL MOM Collector’s Edition Blu-ray, packed with revealing bonus content including new interviews with John Waters, Kathleen Turner and Mink Stole, special featurettes and much more! Available for the first time on Blu-ray in North America, this definitive collector’s edition contains a collectible cover art featuring newly rendered artwork approved by John Waters and a reversible cover wrap featuring original theatrical key art. 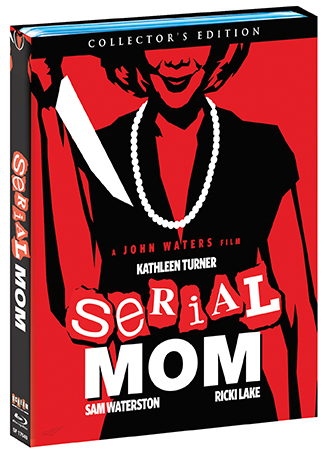 A perfect Mother’s Day gift to die for, SERIAL MOM Collector’s Edition Blu-ray is priced to own at $34.93 SRP. *** Avid fans and collectors please take note: those who order SERIAL MOM Collector’s Edition directly from ShoutFactory.com and get it shipped two weeks early, plus receive a limited-edition 18″x24″ poster featuring our newly commissioned artwork! Available while supplies last. 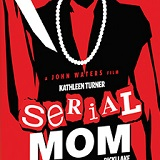 Serial Mom: Surreal Moments – featuring interviews with Waters, Stole, Actress Patricia Hearst, actress Ricki Lake, actor Matthew Lillard, casting director Pat Moran, production designer Vincent Pirano & more!